– Module 3. Long range [M3]. – Shooting daytime and after dark using natural and artificial light. Weapon: One sniper rifle with telescopic sight for each shooter. Ammo: 100 per shooter excluding zeroing. Targets: Paper, steel, falling, moving and the combination of these. This entry was posted in Uncategorized on February 13, 2019 by Ivan Barzilov. The biggest for now and the first international T-Class competition was completed on 28-30th September, 2018 at the “Slivnitsa” Military Range. It was administered by the International T-Class Confederation (ITCC) and was conducted in the Republic of Bulgaria. 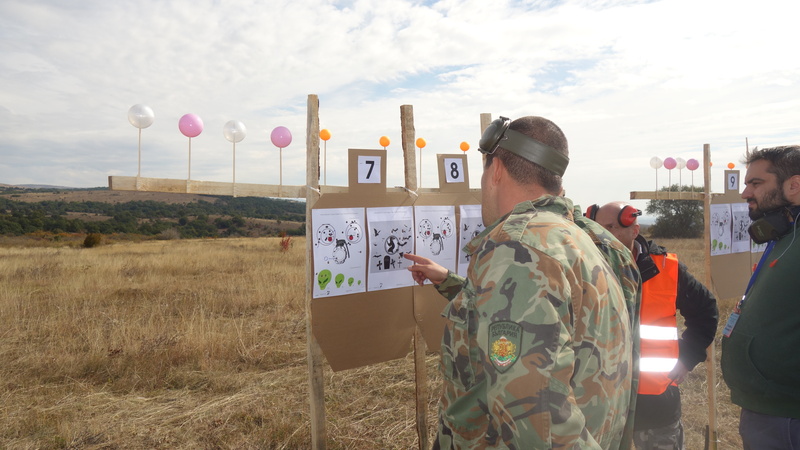 The efforts of the Bulgarian T-Class Federation (BTCF) along with the invaluable help from representatives of the Bulgarian Armed Forces have led to yet another great success in the development of the T-Class shooting sport. This was the eighth competition in the BTCF calendar for 2018, but apart from all previous events, this time there were participants from various countries, a total of 27 teams i.e. 54 competitors. The largest foreign group were the 6 teams from the Russian Federation, there were also two teams from Ukraine, one team from Lithuania and one team from USA. It is not very often for participants in applied shooting disciplines from USA and Russia to compete together, but such an event has happened – in Bulgaria! Even more surprising was the fact that one of the American contestants was an acting senator. The competition was conducted in the discipline T-Class Tactical Sniper and according to the T-Class Set of Rules variation – TeamWork. This means that every team consists of two competitors who will approach and compete together at their own judgement all the various challenges and shooting drills, while helping each other. The team as a whole will participate in the scoring process and the final rankings. The competition itself was conducted continuously for two days and consisted of various drills and stages of static and dynamic precision shooting from all kinds of shooting positions. The design of the stages was carefully planned in order to test all the skills and experience of the precision rifle shooters, by placing them in different, realistic and hard scenarios: precision shooting at paper targets from stable and unstable positions, shooting from barricades, windows, platforms imitating helicopters, shooting in stressful circumstances under time limitations, shooting from various distances – from 10 to 1000 meters in constantly changing environmental factors and especially wind variations up to 7-8 m/s, during daylight as well as during the night. 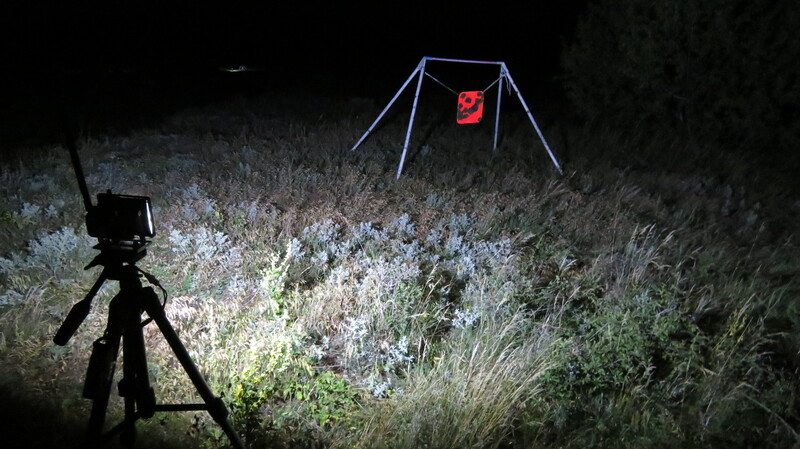 The shooting drills during the night time have made a huge impression on the competitors. These drills involved the so called “smart-target” systems, which were invented and developed solely by the BTCF. These systems can offer limitless possibilities for realization of all kinds of shooting scenarios, without limitations of distance and time. Eventually, very attractive shooting stages in full darkness were completed and the culmination was laid down with shooting at a moving target from 400 meters, during the night. This competition could not have been organized without the help from representatives of the Bulgarian Armed Forces. They have repeatedly shown their understanding about the cooperation between civilian and military structures, which leads to greater benefit and has mutual potential. 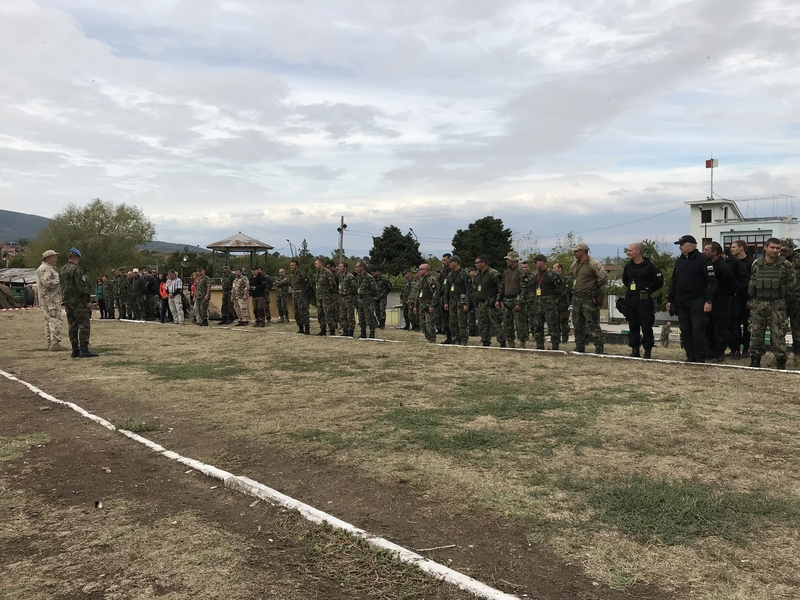 The start of the competition was announced by the Deputy Chief of Staff Bulgarian land force command – Col. Deyan Deshkov, and the closing ceremony was conducted by the Commander of the Special Operation Forces – Brigade General Yavor Mateev. The timely input and calculation of the results is always a challenge in such great competitions. For this purpose, ITCC has its own specially designed and developed online software system, which significantly boosts up the process and provides instant result calculations, while every participant and observer can monitor the temporary rankings online and in real time during the course of the competition. This accomplishment has no comparison in the field of the shooting sports worldwide. The prizes were awarded by Brigade General Yavor Mateev. Complete rankings and all scoring information is available in the ITCC online scoring system platform. This competition proved to be the next step in the growing popularity of the T-Class shooting sport internationally, which provokes unexpected interest by even the most conservative communities like those in the field of precision shooting. Official sponsors of the competitions were Aleksis optics and VIP complex. This entry was posted in Uncategorized on October 18, 2018 by Ivan Barzilov. On August 25th 2018, for the first time, FVSR conducted a full-scale shooting competition according to the T-Class Set of Rules – in two divisions: “Bolt Action” and “Semi Auto”. Here are some comments on the principles which are the foundation of this innovative and sport-oriented shooting discipline. The new concept which is vital for the development of this shooting sport is that it imposes a standard for valuation. In short, the ratio between the minimal dimensions of the targets related to the shooting distances and the number of rounds give the opportunity to assess the actual level of the shooter’s skill. The organizers and stage designers can use additional “effects” in the form of Hit-Factor and difficulty coefficients, which give the opportunity to train all distinctive routines of the shooter. There is the universal Scoring system software for the preparation of the whole competition, from the briefings texts up to the rankings calculations, which define the classification and the prize holders. “T-Class Moscow Sniper Cup 2018” was a one-day competition. There were 10 shooting exercises in accordance to the T-Class Set of Rules: Module 1 (Basic Marksmanship) – 5 exercises, Module 2 (Dynamic) – 2 exercises, Module 3 (Long Range) – 3 exercises. The competition scores confirmed the actual objective levels of the shooters’ capabilities. The match organizers themselves had the opportunity to gain know-how and as I was the Match Director I would like to share some of this experience. A thorough planning for such competition is mandatory. The exercises were flawlessly designed and the shooting range was prepared. But, the actual success of the competition relies not only on the range conditions but on other factors, which may not be directly connected with the shooting. The awareness of the Range Officers and their abilities to control the timing of the match, along with the technical aspects of the real-time data input of the scoring lists into the Scoring System have to be particularly accentuated. You have to be exact in the estimation of the number of competitors which can be accommodated and in our case – 61 competitors proved to be more than what we could handle as match organizers. However, the match did happen, the winners were demonstrated and received their prizes! We remain optimistic for the future. We will draw conclusions from this experience and we will begin preparations for the next. On September 29th and 30th 2018, our team FVSR will participate in the “International T-Class Sniper Cup 2018” in Bulgaria. We will be glad to meet with our colleagues and fellow shooters from the other T-Class Regions. I want to express my enormous gratitude to the whole ITCC team and particularly to the ITCC President – Mr. Ivan Barzilov for his support and assistance! This entry was posted in Uncategorized on September 3, 2018 by Petar Markov. This entry was posted in Uncategorized on June 30, 2018 by Ivan Barzilov. This entry was posted in Uncategorized on June 18, 2018 by Ivan Barzilov. T-Class Season 2018 in Bulgaria has started! 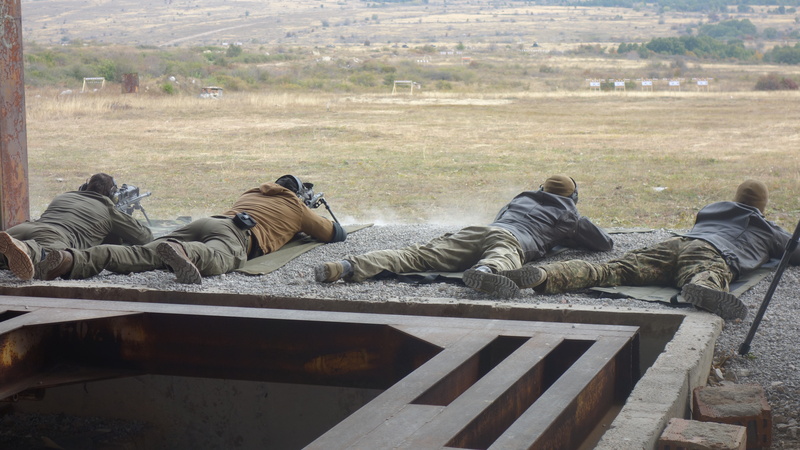 The new 2018 season for the Bulgarian T-Class Federation was launched at the military shooting range of Anevo. The first two competitions from the 2018 BTCF Calendar were completed there and included the new disciplines of the T-Class Shooting sport. 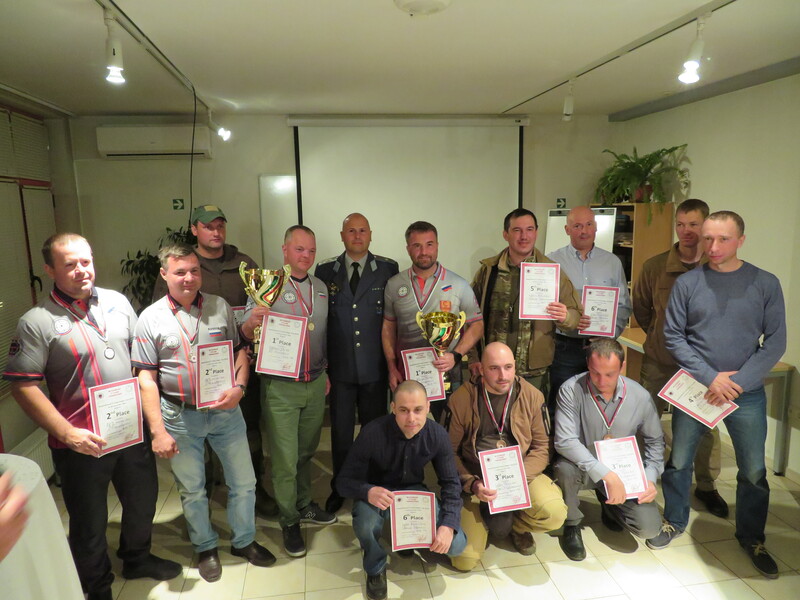 The competitions were preceded by a two-day seminar held by the Bulgarian T-Class Federation along with instructors from the 68th Brigade “Special Forces”. A total of 32 T-Class shooting instructors and range officers from 61st Mechanized Infantry Brigade “Stryamci” were certified and applied their expertise in the management of the two competitions. The first competition was held on March 24th 2018 in the new shooting discipline – T-Class Support and Backup Weapons [SBW]. It was the first ever competition of it’s kind. Complete rankings and any info about the results of the competition can be found at the online scoring platform of ITCC. The second competition was held on Marc 25th 2018 in the T-Class Multigun discipline for two divisions. 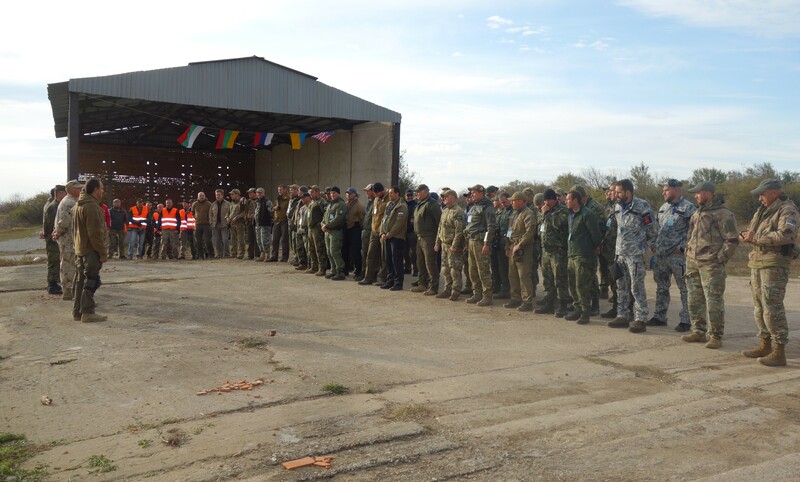 The whole event was highly respected as an example for successful cooperation between a civilian sport federation and military units of the Bulgarian Armed Forces. The next T-Class competition from the 2018 Calendar will be held on April 15th 2018. This entry was posted in Uncategorized on April 7, 2018 by Ivan Barzilov. Latest edition of T-Class Set of Rules with new changes T-Class Rules. – The Multigun discipline becomes open discipline, which is not limited only to sniper rifle, assault rifle and pistol (3+ GUN). – A new supporting discipline has been created – only with assault rifle and pistol (2+ GUN). – There is an opportunity for Gun Stages: The Match Sponsor or the Match Organizer may choose to provide a specific weapon for a stage, which will be common for each competitor, who will have to shoot with that weapon and then carry on with his/her personal weapons. – New rules about safe weapons manipulations are implemented, especially regarding the complex stages with multiple weapons. – Changes in the rules about the use of supporting gear are applied. – There is a more detailed description in the Penalties section. – A higher PF (Power Factor) for pistols is applied (min 130). All changes in the Set of Rules are related with the ambition to make T-Class more realistic tactical and practical shooting sport. This entry was posted in Uncategorized on December 16, 2017 by Ivan Barzilov. The first T-Class competition in The Russian Federation took place on October 20-21th 2017 at the Military Range near Moscow. It was organized and conducted by the “Federation of high precision shooting of Russia” with the support of ITCC. This T-Class competition was carried out as a part of “FVSR Sniper Cup 2017”. It was a two-day contest with a total of 15 stages, including 8 stages of T-Class in three Modules (M1, M2, M3) in “Bolt Action” division. It proved to be a very challenging and interesting competition for 28 experienced shooters from different regions of Russia: Yakutia Republic, Chechen Republic, Tatarstan Republic, St. Petersburg, Moscow and Moscow region, Voronez, Yaroslavl, Ekaterinburg. The rankings were available in real time and online for all of the participants and guests via the T-Class Scoring System Software. The winners were congratulated and awarded by the President of “FVSR” – Sergei Sumarokov, and the Regional Director of ITCC – Sergei Gorobets. This entry was posted in Uncategorized on October 22, 2017 by Petar Markov. The “68th Brigade Sniper Cup“ took place on September 29-30th 2017 at the Tsrancha Military Range, Bulgaria. This was a T-Class competition organized and conducted by the Bulgarian Armed Forces with the help of the Bulgarian T-Class Federation. A total of 30 competitors took part in the event – military personnel from different Army regiments as well as members from BTCF. They were relayed in two divisions, depending on the type of precision rifle used. This was a two day competition with a total of 15 stages in three Modules for each division, according to the T-Class Set of Rules. The competition was Multigun, i.e. there were stages with precision rifles, semi-auto assault rifles and pistols. The stages were very complex and tested virtually every shooting skills of the competitors. A special prize – “The Brigadier General’s Cup” was awarded for the winner of the most difficult stage for the competition. It proved to be a very challenging competition and the winners were not evident until the very last stage. The Rankings were available in real time and online via the T-Class Scoring System Software. The winners were personally congratulated and awarded by the Brigadier General Yavor Mateev – Commander of the Bulgarian Army Special Forces. Official Sponsor of the event was VIP Complex. This entry was posted in Uncategorized on October 4, 2017 by Petar Markov. World Class Achievement – 3 cm grouping of hits at 2000 meters! On September 6th 2017, during a training practice for the T-Class Ultra Long Range Discipline, an ITCC competitor from the Region of Bulgaria managed to achieve an astonishing result of 3 cm grouping of hits at a distance of 2000 meters, with crosswind around 4-5 m/s (low right on the pictured target). The hits were achieved with the first two shots, there were no prior sighting-in shots. There were similar results for 1000 meters distance (the center of the pictured target). The rifle used was the American sniper rifle THOR M408, chambered in .408 Cheytac, with a rifle scope NF NXS 5.5-22×56. The cartridges were assembled with a new enhanced 419 grn. match projectiles. Although all of this was achieved during training practice, the scored result has to be considered a major accomplishment not only for Bulgaria, but also worldwide. BTCF. This entry was posted in Uncategorized on September 12, 2017 by Petar Markov.